Its back by popular demand ! 12 noon on Friday15th Feb till 12 noon Saturday 16th Feb 2019. 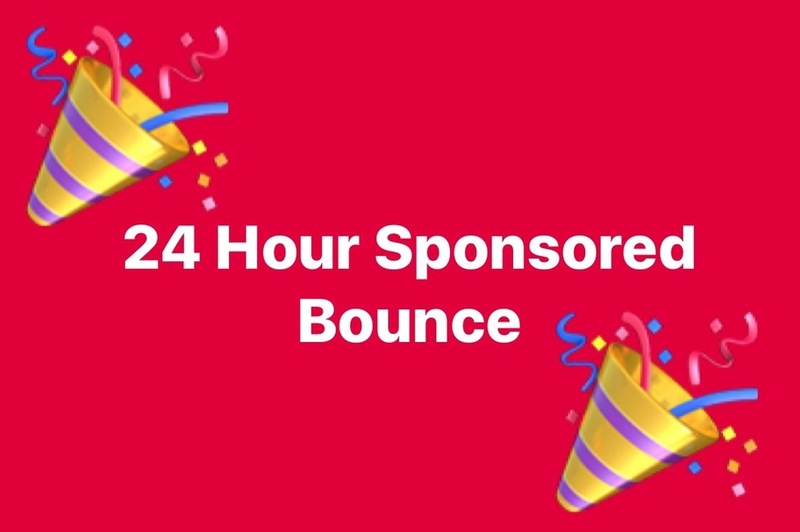 The Trampoline beds will be bouncing for the full 24 hours. Just £5.00 to join in the fun plus sponsorships. The best news of all for children over 12 years if you collect a minimum of £50.00 you can stay over night once the doors have been locked approx 10pm for even more fun and games. We are raising funds for our club to get some new equiptment in all areas. It would be lovely to see you all come along to support our Community Club. Also running along side this there is a raffle running with 3 fantastic prizes, first prize being a month free sessions (at 1 class per week) either your current session or add an extra session for the month-you choose.